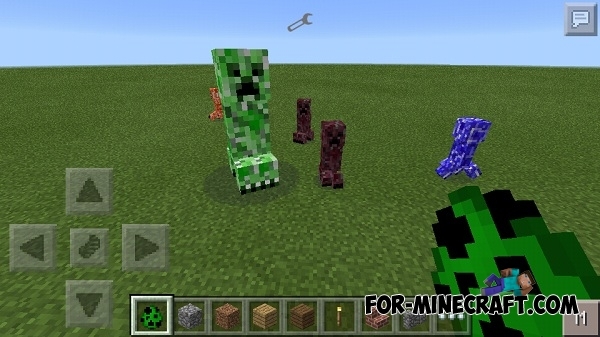 TooManyCreepes mod adds many new different creepers, each of which is unique. 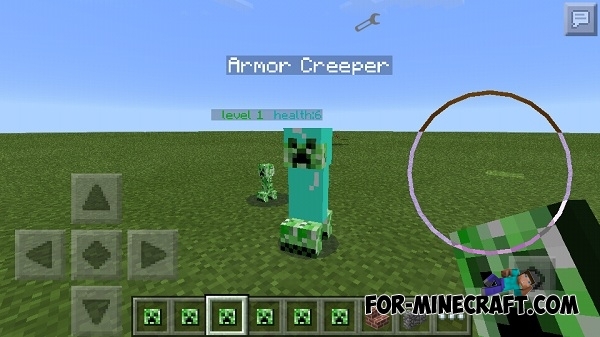 Creepers are spawn all over the world, but you can spawn them using the usual spawn creeper egg. Randomly appears of any creeper. 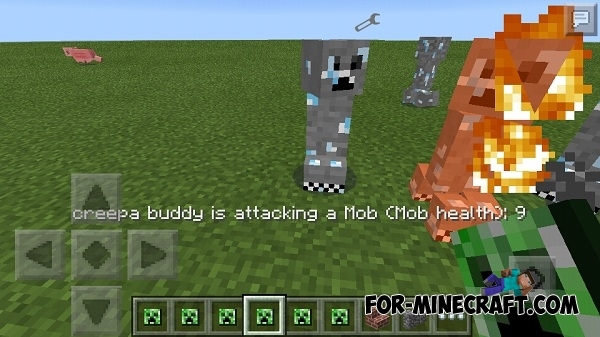 Be sure to connect the Internet to the mobs have texture! 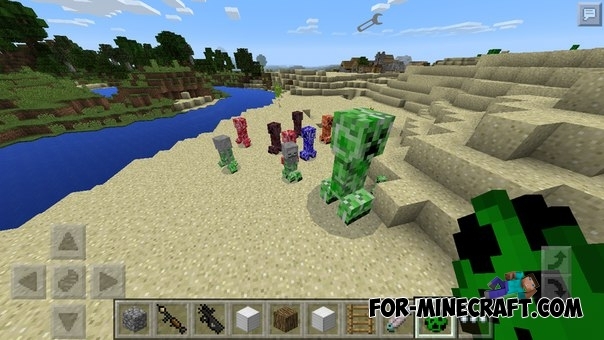 Furthermore, each creeper is unique. 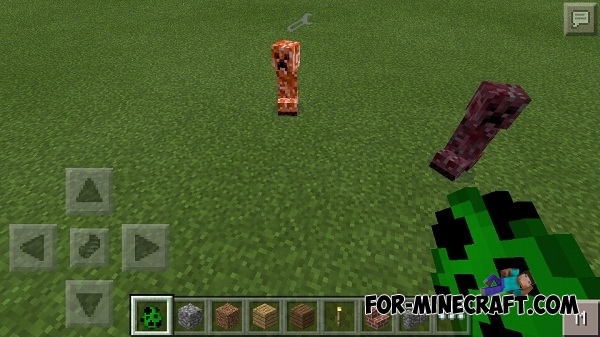 For example, the skeleton-creeper shoots with arrows in the explosion and a giant creeper is really great! 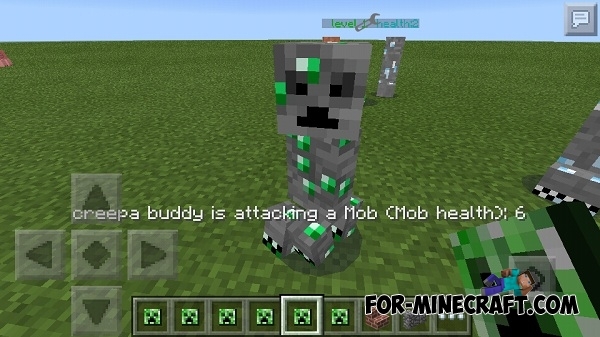 Cabezas mod for Minecraft Pocket Edition 0.10.4This mod will revive the blocks and they will be similar to the heads of all the enemies you meet in the game. 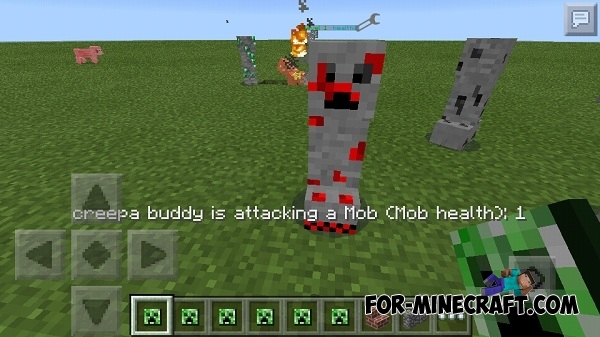 This will be the head and herobrin Creeper, zombies and other monsters. How do you download this mod?